Whilst Banksy was causing a stir over in east Hull this weekend, another well-known graffiti artist was working his magic at K2, Tradepark’s new £6m multi-functional living and workspace complex in Hull city centre. 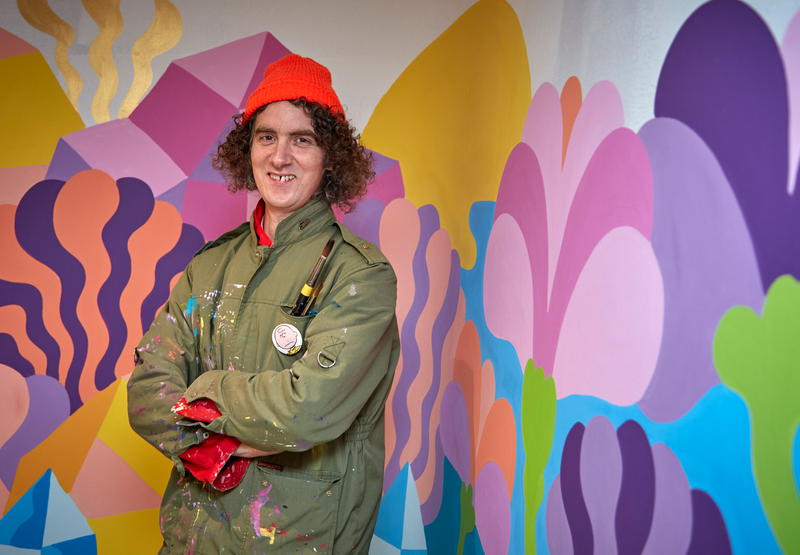 Hull-born Pinky, who is now based in Brighton, returned to his roots to create a unique piece of artwork which will certainly brighten up our office and co-working areas and bring a positive energy to the place. Pinky is a pioneer of the graffiti arts scene in the city and has helped put Hull on the alternative arts map both in the UK and across the world. It’s a real honour for him to bring his psychedelic, vibrant and fun creations to K2.